No matter your personal research interests, JGSLA 2010 holds something for somebody regardless of your ancestry, ethnicity, research skill or genealogical knowledge. Here are just a few of the topics in store for you at JGSLA 2010, July 11-16, in Los Angeles. It will be great to again see Yale Reisner and Anna Przybyszewska-Droz, from Warsaw’s Jewish Genealogical Learning Center. Thinking out of the box, photographically. “Photo Detective” Maureen Taylor will analyze photographic questions posed on JewishGen’s Viewmate over the years and also provide private consultations while Ava (aka Sherlock) Cohn (with ancestors from Belarus, Romania, Ukraine and the Austrian Empire), will demonstrate how to find clues our immigrant ancestors left for us in their photo portraits. 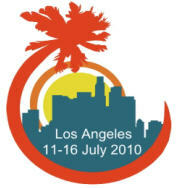 For all conference details, check out JGSLA 2010. Kudrow’s episode was one of the most riveting of the series, says Suzanne. In it, Lisa visits the small shtetl of Ilya, Belarus, where her great-grandmother was murdered during the Holocaust. Lisa’s father, Dr. Lee Kudrow, always wondered what happened to Yuri, a cousin who had escaped to Poland and who told about Lisa’s great-grandmother’s death. Yuri was never heard from again. On a visit to Gdynia, Poland, to discover Yuri’s true fate, Lisa is shocked to learn that Yuri was still alive! Despite the tragic history, there is a beautiful reunion between two families separated by the Holocaust. Suzanne provides tips (additional comments by Tracing the Tribe are included) for those curious about how the team of genealogists for this episode found out more about Lisa’s Jewish family. 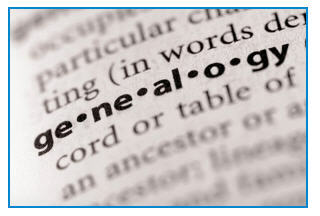 Here are resources to help newcomers better understand Jewish family history research. How they helped: Lisa Kudrow’s US family heard about her great-grandmother’s death from a cousin named Yuri who visited Lisa’s dad and grandmother in the late 1940s. Lisa’s research goal is to discover where her great-grandmother was buried and learn more about Yuri. Her visit to Belarus and online resources help her achieve that goal. While visiting Ilya, Lisa reviews a translated Yizkor (memorial) book about the massacre of 900 Jews in March 1942. The town’s Jewish population came to an end that day. Lisa walks the same path her great-grandmother was forced to walk 68 years ago. At the gravesite is a memorial to the murdered Jews. Looking for some positive news on her trip, Lisa turns her search toward the one relative she knows survived – Yuri – who visited her father in the late 1940s. An Ancestry passenger list shows a man with the same surname but the given name Boleslaw. Are Yuri and Boleslaw the same person? In Gdynia , Poland, Lisa sees Boleslaw’s city registry card. Yuri changed his name to a Polish name for assimilation. His wife and son are registered. The phone director lists Boleslaw, who is still alive. Weren’t Eastern European records all destroyed? The records from Eastern Europe that Lisa’s family found aren’t uncommon. Although millions of Jews were murdered in the Holocaust, records did survive. Are you following US Jewish lines? Follow step -by-step through the US, including census records, passenger lists, citizenship records, vital records and more at various sites such as Ancestry and Footnote.com. Once you’ve found all the US records, then jump to European records. Learn about your family’s towns and villages, immigration data and clues to other relatives. Check out sites such as JewishGen for a town’s Yizkor book or its Special Interest Groups (SIGs), Yad Vashem for other Holocaust-related documents, Ancestry’s holdings, Footnote.com’s Holocaust collection (and other records), the Ancestry.com Jewish Family History Collection, and, of course, Tracing the Tribe: The Jewish Genealogy Blog. Never give up, and keep searching. The YIVO Institute for Jewish Research will host a seminar on “Jewish Tavernkeepers and Liquor Traders in 19th century Poland,” at the Center of Jewish History on Tuesday, March 23. Meet the faculty at 6pm; the program begins at 6.30pm. Advance registration is required. — Bar Ilan University Professor Jewish History Moshe Rosman, who is the Horace Goldsmith Visiting Professor of Jewish Studies at Yale University. By the end of the 18th century, Jews comprised the vast majority of tavernkeepers in Poland-Lithuania, leasing taverns and distilleries from the nobility. According to most historians, Polish Jews were driven out of the liquor trade over the course of the next century. Yet 19th-century archival sources, including an invaluable collection of personal petitions (kvitlakh) sent to R. Eliyahu Guttmacher, housed in the YIVO Archives, provide evidence of the continued existence of Polish Jewish liquor traders, both open and surreptitious. The involvement of Jews in this sector of the Polish economy during this later period points to the fact that traces of the feudal economic system survived amidst a period of rapid industrialization and modernization. While Jewish tavernkeeping was vigorously opposed by powerful groups in Polish society, one crucial group continued to provide them with cover: the very local Christians they were accused of victimizing. This talk analyzes the robust but technically illegal Polish Jewish liquor trade during the 19th century. Dynner teaches Judaic Studies at Sarah Lawrence College and is author of Men of Silk: The Hasidic Conquest of Polish Jewish Society (Oxford University Press, 2006). He is the latest recipient of the YIVO Workmen’s Circle/Dr. Emanuel Patt Visiting Professorship, as well as a member of the Institute for Advanced Study, Princeton University. Currently, he is writing a monograph on the subject of Jews in the Polish liquor trade. He is also editor of a forthcoming book on Jewish and Christian mysticism in Eastern Europe. Dynner holds a BA and PhD (Brandeis University), and an MA (McGill University). Rosman is professor in the Department of Jewish History, Bar Ilan University in Israel and currently serves as the Horace Goldsmith Visiting Professor of Jewish Studies, Yale University. He has conducted extensive research in Eastern European archives on the social and economic history of the Jews in early modern Poland and specializes in integrating Jewish, Polish, and other sources. His books include “The Lords’ Jews: Jews and Magnates in the Polish-Lithuanian Commonwealth” (Harvard 1990, Polish National Library 2005); “Founder of Hasidism: A Quest for the Historical Ba’al Shem Tov” (University of California 1996, Shazar Center, Jerusalem 2000); and “How Jewish Is Jewish History?” (Littman Library, Oxford 2007). His latest research project is a history of Jewish women in Poland. The Center for Jewish History is located at 15 West 16th Street, New York, NY. The weather in Melbourne couldn’t be better, sunny and breezy. Tracing the Tribe is blogging away and getting ready to speak at the second Australian National Conference on Jewish Genealogy, March 7-9. The Australian Jewish News reported on the conference in a story on February 22. The story focused on Israeli Ambassador Yuval Rotem who will also speak at the conference and describe his search for long-lost relatives in Australia. Rotem, 50, was posted to Canberra in 2007; he spoke at the first conference in 2008, which the Australian Jewish Genealogical Society held in that city. The embassy hosted a reception for attendees at the conference. Lionel Sharpe, secretary of the Australian Jewish Genealogical Society (Victoria) said in the story that the conference theme is “Our Jewish Roots,” and that it will look at ways that genealogists – from beginners to experts – can use today’s resources most effectively. One important point that Lionel stressed is that there are so many new sites appearing and more archives are becoming accessible. 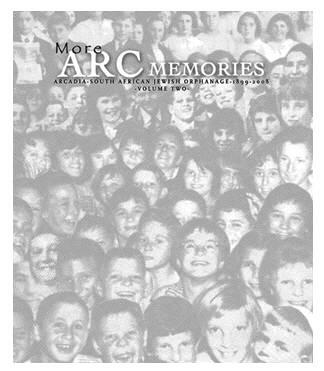 Many experienced genealogists did a lot of work decades ago and couldn’t find anything then, but they are not aware of the new sources. He says that the conference will recommend that researchers start looking again, but through different glasses. Dr. Sallyann Amdur Sack-Pikus and myself are among the international speakers. Writer-lecturer Arnold Zable (media as a resource for finding family); researcher Krystyna Duszniak (locating relatives in Poland); journalist-filmmaker Daniela Torsh (genealogy in the Czech Republic and Austria); Holocaust researcher Jenni Buch (Belarus); and Gary Luke (Australian Jewish colonial period. Tracing the Tribe is very excited to be here and to take part in this event.